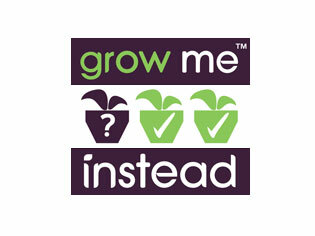 Grow Me Instead is an initiative of the NGIA promoting a positive change in the attitude of both industry and consumers toward invasive plants. Originally starting in NSW as 'Discovering Alternatives to Garden Escapes' the Grow Me Instead program now covers the whole of Australia. Funding from the Australian Government has enabled the publication of Grow Me Instead guides for each state and territory. The various Grow Me Instead projects have identified 27 invasive urban plants in each Australian state and territory along with a range of suggested superior alternatives. Due to its size and diverse climate, the Queensland project identified 30 invasive plants in each of three bioregions - Sub Tropics, Dry Tropics and Wet Tropics. The Queensland project included funding for the establishment of a national GMI website, which integrates the information from previous GMI projects into a single website. The Grow Me Instead website has been supported by Nursery & Garden Industry Queensland (NGIQ) through funding from the Australian Governments ‘Caring for our Country’.